I was relieved. I was worried about her, having been brought in by ambulance seizing. My resident said she was not waking up for him, which we hoped was just post-ictal, but we were not sure yet. “Oh good! You are gonna be just fine. We will take good care of you here,” I said with a smile, turning to my intern and resident who seemed to enjoy seeing me get told off. I am a doctor at a safety net hospital. This is where I chose to work. Being a doctor at a safety net hospital means sometimes I take care of patients who have pushed nearly everyone else in their life away, for one reason or another. In a great Teachable Moment article in this month’s JAMA Internal Medicine, Drs. Eric Rudofker and Emily Gottenborg from the University of Colorado, explain why labeling a discharge as “AMA” not only fails patients but also does not achieve any of its intended goals. They point out that “following an AMA discharge, patients have disproportionately high rates of readmission and adverse events, including death.” Furthermore, we all know that it is a label that follows patients around, creating a stigma and affecting all future interactions. Also, signing out AMA does NOT mean the patient will now have to pay for the hospital stay because insurance will deny the claim. My friend Vinny Arora and colleagues showed that this is a pervasive “medical urban legend,” and that we should do our best to stamp out this purposefully coercive misinformation. I have learned, through a lot of trial-and-error, how to often de-escalate a situation, simply acknowledge a patient’s concerns and figure out if there are reasonable steps or concessions we can make that can help them work with me to adhere to what I think will be best for their health and care. We should strive to role-model and teach these techniques. One prominent example I have recently highlighted is treating addiction symptoms with counseling and buprenorphine, rather than forcing abstinence and withdrawal. All of this said, I am certainly no saint. Patients have gotten under my skin. And we must set appropriate boundaries – for example, I would never tolerate a patient sexually harassing somebody on my team. However, no matter what, I think it is well outside of our oath to retaliate or to withhold appropriate care. 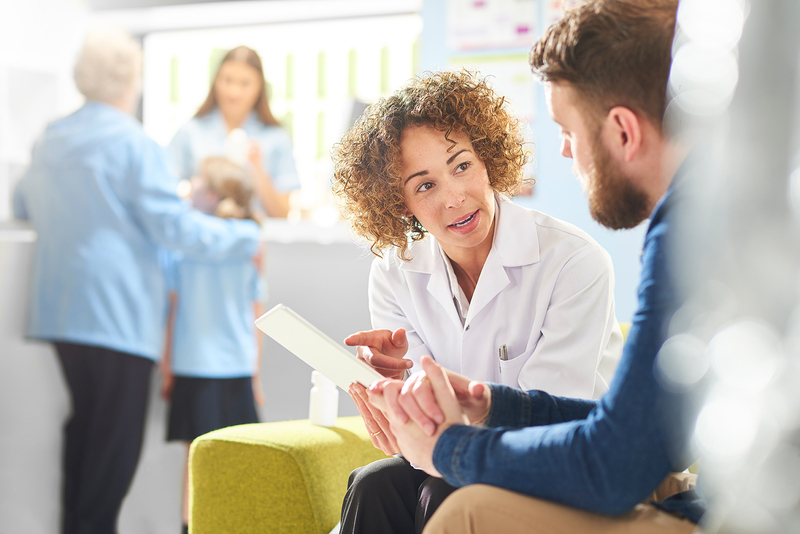 We can – and should – do our best to get the patient leaving the hospital critical medications, practicing a harm-reduction model, and should offer options for follow-up care. We should document what we discussed with our patient and how a decision was made, even if it was a patient decision that we did not support. Patients choose to not follow my advice all of the time – why only when it comes to leaving the hospital do I feel the need to grab some pre-printed form? So what does the AMA form actually accomplish? It seems, other than giving us a false sense of absolution, the answer is nothing. It is the least patient-centered way to say that we are abiding by your decision. I am no jailor; you are welcome to leave whenever you want. The last thing either of us needs is more paperwork. I also relate to the comment “ I am not a Saint “ : we all get our buttons pushed . What helps me to keep poised on those situations is to say to myself “ this is not about me , this is about the patient . I have to say that I agree with this principle. Most of our AMA patients are addicts of one sort or another who just need to get out to get back to their drug of choice or are patients with socioeconomic needs that necessitate their return to home or work. Try as we might, we will never be able to compete with that need. I learned long ago that refusing vital medications on discharge is just wrong — morally and ethically. These people are no less worthy or in need of our help than any other. We may not be able to persuade them to stay; we can help them to understand that we will always be here to help them. Chris, great article! I agree with everything you say here, but there is a legitimate reason for AMA discharges, or at least for an’irregular’discharge to be coded as an AMA discharges (until CMS comes up with a better term), and that is that hospitals are not penalized for readmissions in these patients. I agree everything should be done for the patient, medications, follow-ups like any other discharge. They should be treated with respect and their decision should be respected if they are properly given informed consent. While I also hate the stigma attached, I understand the need for a designation in these situations. When our PT colleagues evaluate a patient and feel it is unsafe for them to be discharged home and recommend a SNF, but the patent refuses to go, has no one to help at home and we really believe they are going to be readmitted (or worse!) and that they cannot make it at home, but we have informed them of the risk fully and they decide to go home anyway, should the hospital be penalized when that patient comes back by ambulance in the next few days? Again, I support this was their decision to make, but we need to be able to document somewhere that we recognized these readmission risks and recommended a plan to mitigate them. AMA does that. As opposed to the hospital who didn’t have PT evaluate, didn’t inform a patient of that risk, and essentially pushed that same patient out to an unsafe home environment. Those 2 situations need to be distinguished in our quality reporting and unfortunately coding AMA discharge instead of discharge home is the only way to do that right now. Wow, I’ve discharged pt in similar predicaments and I’ve documented as such, so I was wrong, they needed to be AMA? I feel documentation of your conversation and pt right to choose where to go go and how to go would be a appropriate discharge documentation and if pt gets readmitted it wouldn’t be seen as a readmission since you’ve clearly documented that going home poses a risk of readmission? Largely, I agree. However, I will usually have the “you shouldn’t leave” dialogue one time, however, and no more. As part of the dialogue, I inform the patient that they are responsible for their own informed decisions and choice to trust (or not) that they need to remain in the hospital. Once I give them the necessary information, and convince them I am open to dialogue as their care evolves, I also tell them that they are not entitled to 100% of our time and resources, that we are actively taking care of many patients (who are choosing to accept our help), and that I am not beholden to run to them to convince them to stay, particularly “immediately” (as many of the AMA threateners demand. There is something to be said for patients taking responsibility for their own care, to drop the entitlement. The fact is—they are in the hospital for a reason, and if they don’t want the help, I will not repeatedly try to convince them otherwise. Of course this discussion does not include those incapacitated or not thinking clearly, whatever the cause—withdrawal, intoxication, delirium, dementia…. The initial discussion to stay or not is a time for relationship/rapport building, while also establishing rules for the ongoing physician/patient relationship. And yes, the AMA form means little, but the chart documentation, with witness, means a lot.